If you have an RV or boat, you know that it can be a hassle trying to find a spot at home to keep it. At AA Self Storage, we have the answer. Conveniently located between Falls Lake and Kerr Lake, our Butner, NC storage facility offers boat and RV storage units. Our Butner storage units offer ample room for your RV or boat and are securely protected 24 hours a day, 7 days a week. 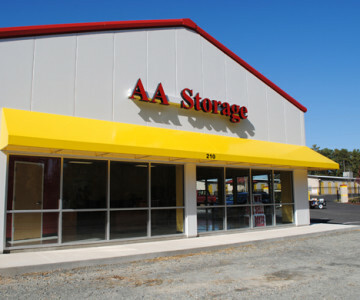 As a AA Self Storage client, you’ll receive an individual passcode to enter our facilities and you can rest assured knowing that your boat or RV is under constant video surveillance.